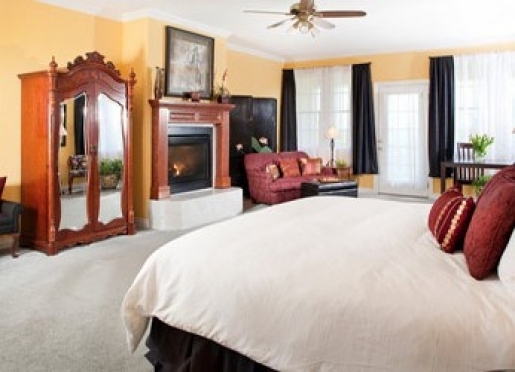 Welcome to one of Oklahoma's premier Bed & Breakfasts, Shiloh Morning Inn... a romantic, secluded getaway. 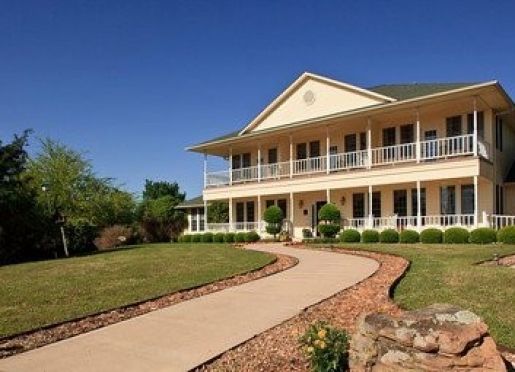 Conveniently located halfway between Dallas and Oklahoma City, just minutes off I-35, this 73-acre country inn is an oasis for just the two of you. 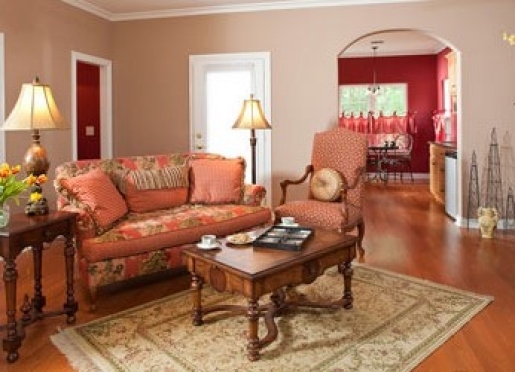 We have five large suites in the main house, called "the Humphrey House", and four separate, secluded cottages. 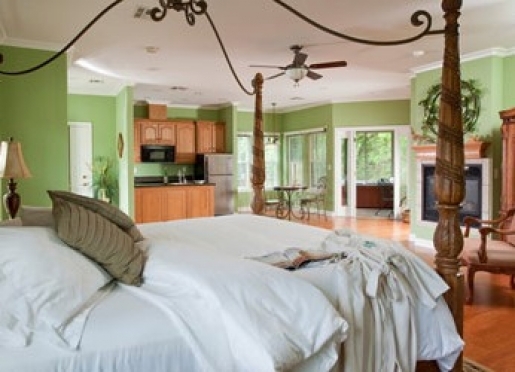 All suites and cottages feature king size beds, TV / DVD, mini-fridges, and either whirlpool tubs for two or private hot tubs. 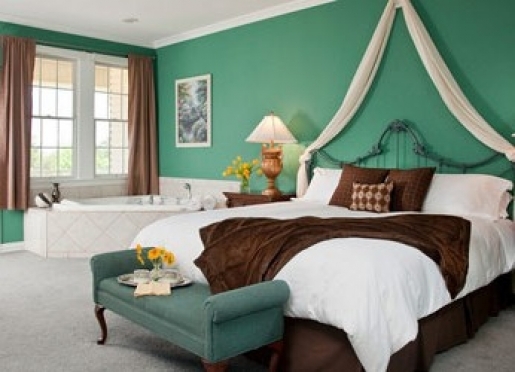 The Shiloh Morning Inn will prove to be your own little piece of heaven on earth. Come visit us! 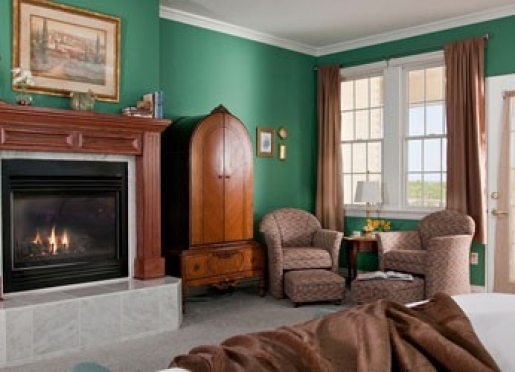 Guests at Shiloh Morning Inn have lots of room to roam. 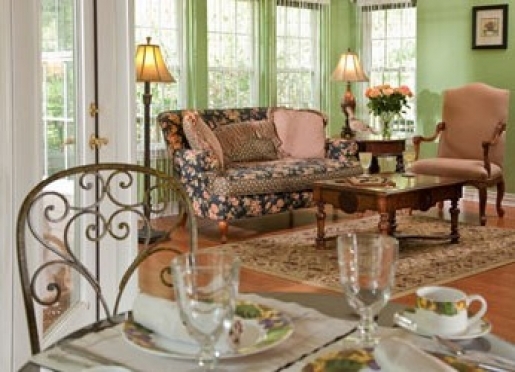 In addition to 73 acres filled with walking trails, hammocks, and park benches, guests can visit with friends in the parlor, read a book or play backgammon in front of the library fireplace, or play cards in the dining room. Wireless internet is accessible anywhere in the Humphrey House. All guests, including those in the cottages, have a key to the Humphrey House front door for convenience in coming and going whenever they please. The library is filled with books, movies, games, and playing cards. 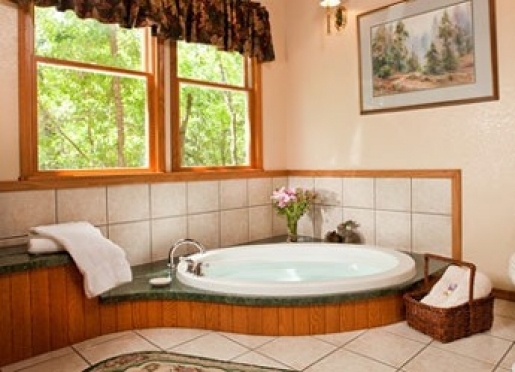 All are for guests to borrow for use either in one of the common rooms or in the privacy of their own suite or cottage. 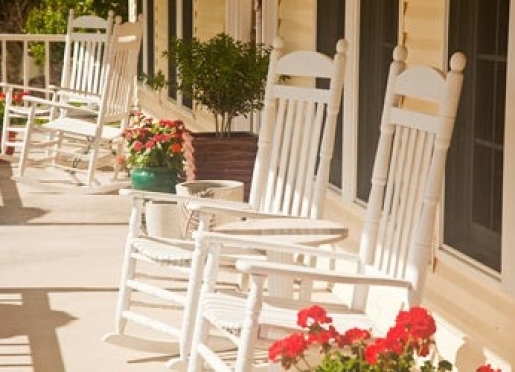 A large front porch with rocking chairs is a great place to enjoy a morning cup of coffee or an evening glass of wine. For that sweet tooth, there is always the bottomless cookie jar in the Humphrey House dining room, just waiting to be raided. 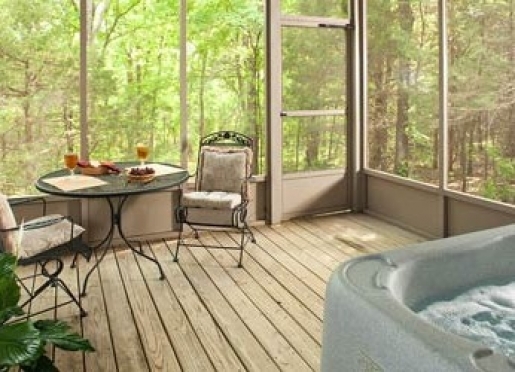 Shiloh Morning Inn is located on 73 acres of absolute beauty. You may park your car and not leave until check-out time! 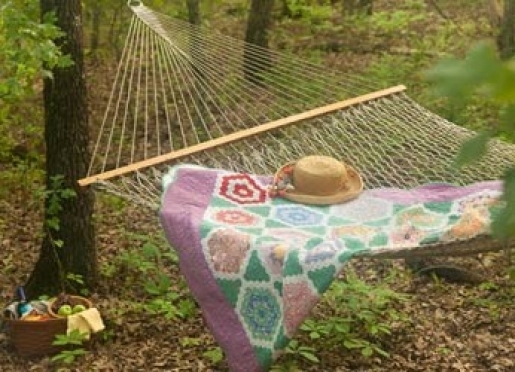 Walking Paths: We have over a mile of meandering paths that include hammocks and benches along the way. Animals: For those interested in bird watching, binoculars are furnished. 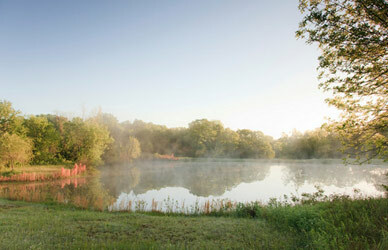 Bring your fishing pole for an afternoon of catch-and-release in our pond. Trout, carp, and a variety of other fish have been spotted. We have several butterfly gardens. 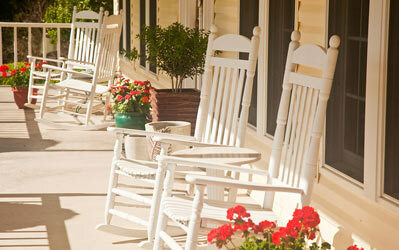 Additionally, in the spring, many numerous hummingbird feeders are hung around the Inn. You might also see deer, wild turkeys, roadrunners, or several other creatures. Library, Movies & Games: We have a selection of books in the library, along with a large DVD collection. Board games, cards, and dominoes are also available. 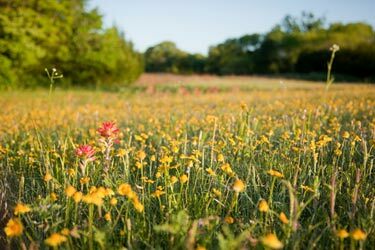 it's hard to believe that all this lies only a few minutes from I-35." 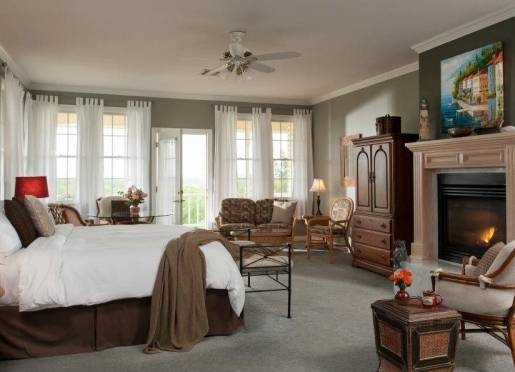 All Photographs used on this listing were taken by Jumping Rocks Photography. 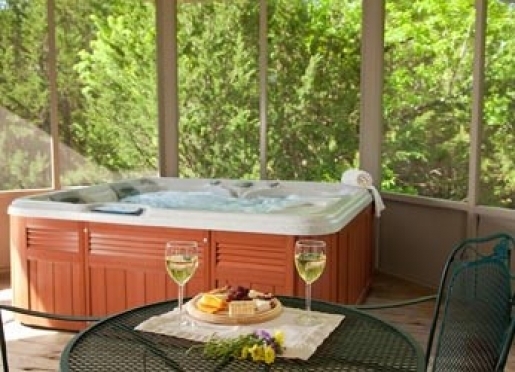 Available Wednesdays through Saturdays only, this deluxe dinner package is served in your suite or cottage between 6:00 p.m. and 8:00 p.m. $55 per couple, plus sales tax. Reservations need to be received at least 2 days prior to arrival. 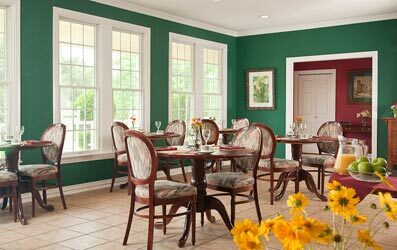 Dinners include a garden fresh salad with dressings, the chosen entree (see below for options), vegetable of-the-day, a loaf of freshly-baked bread, homemade dessert, and your choice of freshly brewed iced tea or a complimentary carafe of wine. 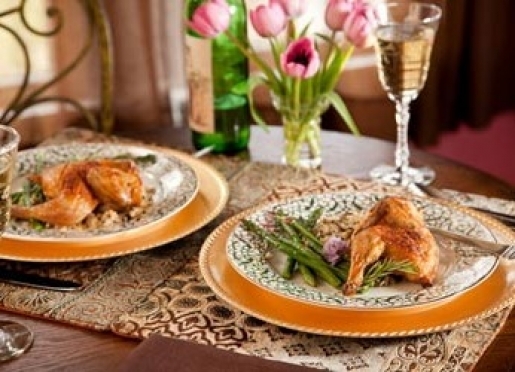 Roasted Cornish Game Hens: Two halves, oven roasted, and served on a bed of long grain & wild rice. Grilled Pork Tenderloin with Vermouth Sauce: Each tenderloin is rubbed with our special blend of spices, grilled over high heat to sear in the juices, then slow roasted in the oven. 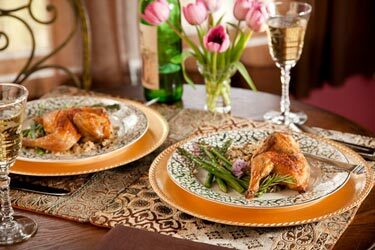 Oven Roasted Quail: Brushed with clarified butter and oven roasted to a crispy golden brown. Two butterflied quail per person. Beef Top Sirloin Cap: 8-10 oz sirloin cap, rubbed with our special seasonings, then grilled to perfection. Sliced and served with a red wine mushroom sauce. Pecan Crusted Tilapia: Mild-flavored white fish, lightly breaded and roasted. Garnished with fresh lemon. Available any evening, this light dinner tray will be waiting for your arrival or served in your suite or cottage at a time convenient for you. Reservations must be received at least 1 day prior to arrival. This light dinner consists of: One pound jumbo shrimp & sauce, A plate of cheeses & fruit, A loaf of our fresh-baked bread. $35 per couple, plus sales tax. from Shiloh Morning Inn. Menus from these local restaurants are available, along with maps and directions. Looking for something to do while in the area? 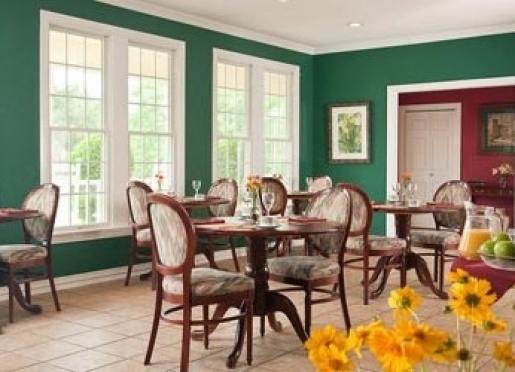 There are lots of attractions and Shiloh Morning Inn is within a 20-to-30 minute drive from them all. 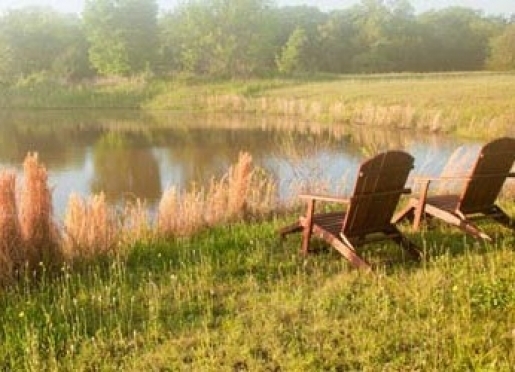 Park, Oklahoma's largest at 12,400 acres and a 5,700 acre lake offers swimming, boating, fishing, water sports, tennis, horseback riding, ATV area, hiking, and much more. 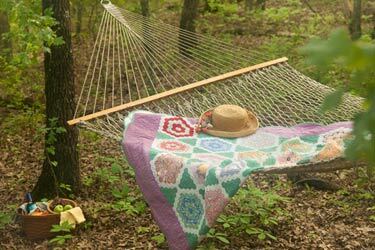 Chickasaw National Recreation Area is a national park just 18 miles from Shiloh Morning Inn. At almost 10,000 acres, this park offers swimming in clear streams or the Lake of the Arbuckles, 30 miles of hiking trails, a nature center, a bison lookout, and all forms of wildlife. Turner Falls and the Arbuckle Mountains, Oklahoma's most popular area to visit is a short 25 minute drive. Enjoy hiking in the mountains, horseback riding, or swimming at the base of the falls. Golfing at Lake Murray, Chickasaw Pointe, or the municipal course in Ardmore. Boutique shopping in Ardmore and the surrounding towns where you can find local artists' works and collectibles. 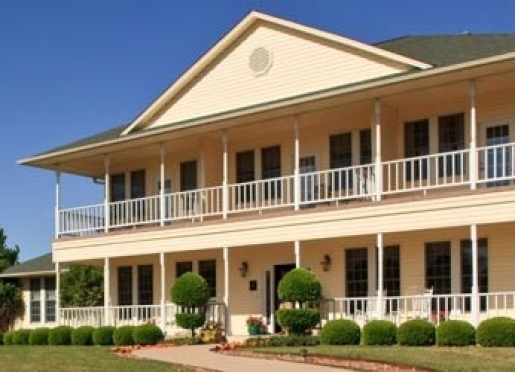 Visiting Museums in Ardmore includes the Greater Southwest Historical Museum, the Eliza Cruce Hall Doll Collection (contained in the Ardmore Public Library), and the Gene Autry Museum. Visual and Performing Arts are found at the Goddard Center for the Performing Arts, which has several art galleries and performances by nationally known artists and the locally-owned art gallery, Studio 107, located in downtown Ardmore. 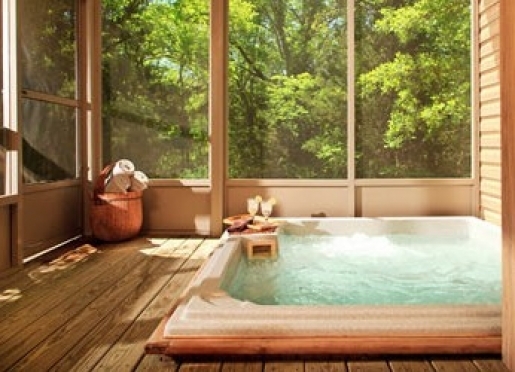 Relaxing Spas found in Ardmore offer the ultimate in relaxing massages. Turn left (West) on Ponderosa Road* and go .8 of a mile to our gate on your left (where you will see two large Shiloh Morning Inn signs to welcome you). 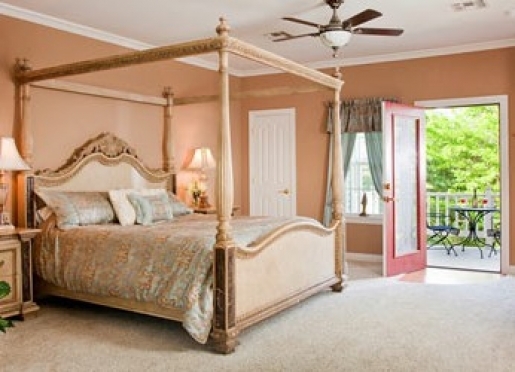 Please note that, for our guests' privacy, we are a gated property. Only those with confirmed reservations will be given the gate code, which is included with your reservation's confirmation letter. wheelchair accessible. It has a roll-in shower with a built in seat and grab bars.